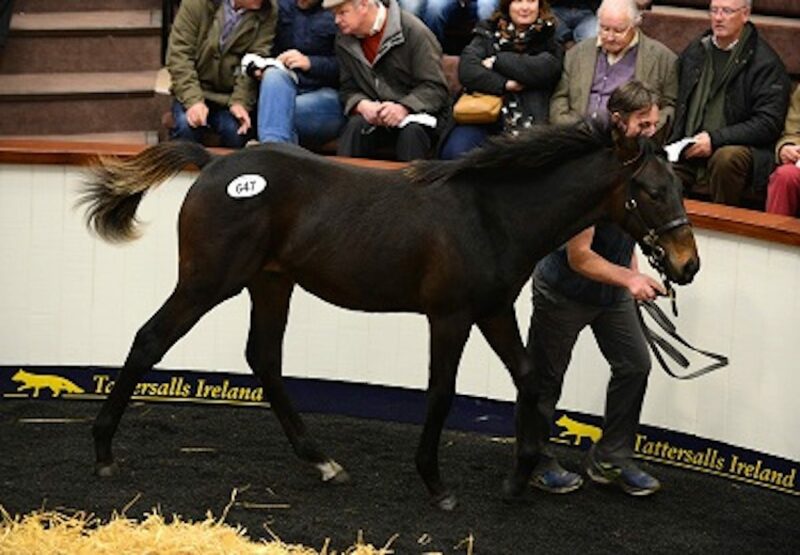 An April-born son of Flemensfirth became only the third National Hunt foal to sell for six figures since 2010 at the Tattersalls Ireland November Sale when topping Wednesday’s trade at €110,000. Bred by Louis Vambeck and offered from Ballincurrig House Stud, the colt is the first foal of Keep Face, a half-sister to champion chaser Master Minded. Patrick McCann outbid agent Aiden Murphy for the prized offering. “This was the nicest foal here,” said McCann, who owns Brookland Stables, base of trainer George Pakidis. “He was picked out for me by some good judges. The options are open – he may be resold or he may stay with us to be trained. Really, I just enjoy looking at them and I can do that for two years now before I need to make plans!” McCann also paid €55,000 for a son of Yeats offered from Ballincurrig House Stud.